Setting your website apart from the competition can be tricky, but customizing your website to stand out and catch the eye of consumers is the best way to distinguish yourself. A custom website design paired with unique content that increases your search engine ranking will work wonders in driving more traffic to your website. 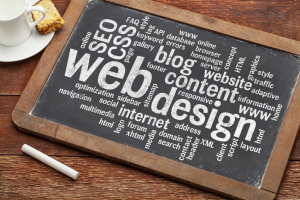 Experienced web designers can provide you with a distinct logo, enhanced user interface, and a litany of other services that take your website into the 21st century. Dealing with growth is a common issue for many companies who experience success in short bursts. When traffic to their website begins to increase, it isn’t equipped to handle these new visitors and problems arise. To avoid this, you need to invest in a web hosting plan that can account for future growth. Generally speaking, your web hosting plan should offer 20% more space than you currently use to prepare for more traffic down the road. The best and most experienced web designers also offer web hosting plans and will suggest the right plan for your projected growth. Perhaps the most important factor in driving traffic to your website is search engine optimization, or SEO. A lavish website and extensive web hosting plan mean nothing if nobody is on your website to begin with. Search engine optimization is a strategy involving the creation of original content with the intention of improving your website’s organic ranking on popular search engines like Google and Bing. They’re found below the sponsored results, and the top organic result in any given search is usually the most clicked-on. Achieving the top spot in these rankings will exponentially increase your website’s traffic and put you on the road to sustainable success. Find experienced web designers who are up-to-date on the latest trends in these three important aspects of digital marketing. By doing so, you’ll find that you’ve been missing out on the massive online shopping market that will only continue to grow and expand.